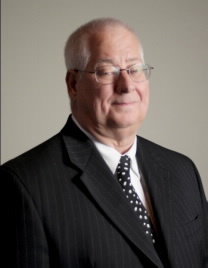 Geary Danison has been with the firm, McLain, Hill, Rugg & Associates, Inc., for over 40 years and was admitted as a shareholder in 1984. Geary spends his time between the New Lexington and Zanesville offices. Geary’s industry expertise includes construction, contractors, professional services as well as other businesses and individuals. He provides full service tax and accounting services to his clients. Geary has expertise in audit, reviews and other services for non-profit organizations, associations, and small businesses as well as tax preparation and business consulting. Geary is a member of the Ohio Society of Certified Public Accountants and American Institute of Certified Public Accountants. Geary resides in Somerset, Ohio with his wife, Mickey, where they raised their two children Kurt and Kelly. Away from the office, he enjoys golfing and a variety of activities with family and friends.